It’s estimated that up to 20% of Americans avoid dental care because of dental anxiety and fear. 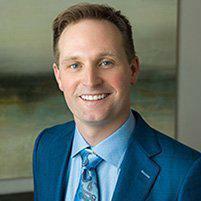 Scott Young, DDS wants you to feel comfortable and confident while under his care and offers multiple types of sedation dentistry, including drug-free NuCalm®, at his practice in The Woodlands, Texas, to help you relax during your dental appointments. Don’t let dental anxieties stop you from getting the essential oral health care you need to protect your teeth and gums. Call the office or schedule an appointment online today. Sedation dentistry is the use of oral, inhaled, or intravenous medication to help you relax during your dental treatments. The purpose of sedation during dental treatments is to help you stay comfortable and anxiety-free throughout your appointment. It’s a helpful option for anyone who experiences fears about the dentist or has trouble sitting still for long periods of time. Depending on which type of sedation you request, you may be able to take a pill, inhale nitrous oxide, or receive IV sedation. Dr. Young also offers drug-free relaxation dentistry with the NuCalm system that helps you let go of anxiety and relax during your dental procedure. You must be in good health to be eligible for sedation. Dr. Young needs to know about any health conditions and other medications you take before providing a sedative. Sedation is an excellent option if you have dental anxiety and avoid or put off dental treatment because of your fears. You may also opt for sedation dentistry if you’re going to have several procedures completed at once and will be in the dentist’s chair for a long time. Sedation dentistry can help children and people with special needs who may not be able to sit still for long periods of time, or don’t have the verbal communication skills to talk to their dentist or understand their instructions. The team at Scott Young, DDS is thoroughly trained and qualified to provide sedation dentistry. They complete a comprehensive consultation to determine if sedation is right for you. If you have sedation during your appointment, you’ll need a friend or family member to drive you home as you may be groggy afterward. What dental procedures are performed with sedation? Dr. Young and his team can use sedation to make nearly every dental treatment a more comfortable and relaxing experience for you. Whether you’re having a routine dental cleaning or a more invasive procedure like a root canal, or treatments for gum disease like root planing, talk to Dr. Young about your concerns and find out if sedation dentistry is right for you. Call the office or schedule a consultation online at Scott Young, DDS today.